#1 Tile and Grout Cleaning in town! Goose's Tile and Grout Cleaning can clean maintain and keep your ceramic tiles looking their best, whether the tiles are on the floor, wall, or countertop. Your dirty tile and grout can be brought back to a like new appearance with our exceptional system that involves deep cleaning, etching, balancing and sealing. A difference that you might not believe possible. Cleaning tiles and grouts can be messy, time consuming, or simply beyond your abilities. The grease and grime that has accumulated in the grout lines will be gone; leaving a sparkling floor that looks like new. Our process not only cleans deep inside the tile and grout lines, but also kills 99.9% of all the germs surrounding the areas of your sinks, bathrooms, showers, toilets, etc. 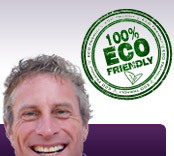 Our Tile and Grout Cleaning Process has been perfected to a science. Goose's Tile and Grout Cleaning Folsom has top-of-the-line equipment that can remove more dirt in less time than you possibly could by yourself. Better yet, we can do it all without the use of harsh chemicals. When you purchase and apply tile and grout cleaners from the store, you may not know that these chemicals are extremely abrasive and can eventually eat away at your tile and grout. 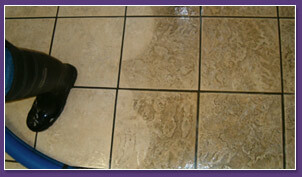 Let Our Proffessional Tile and Grout Cleaners Folsom Clean Your Floor. We are sure you will be impressed.